Administrators and Team Managers can designate any new or existing team members as an “Observer”. Observers will get a daily check-in summary from the team, however, they will not be prompted to check-in, and they won’t show up in the team summary or affect the check-in completion rate. 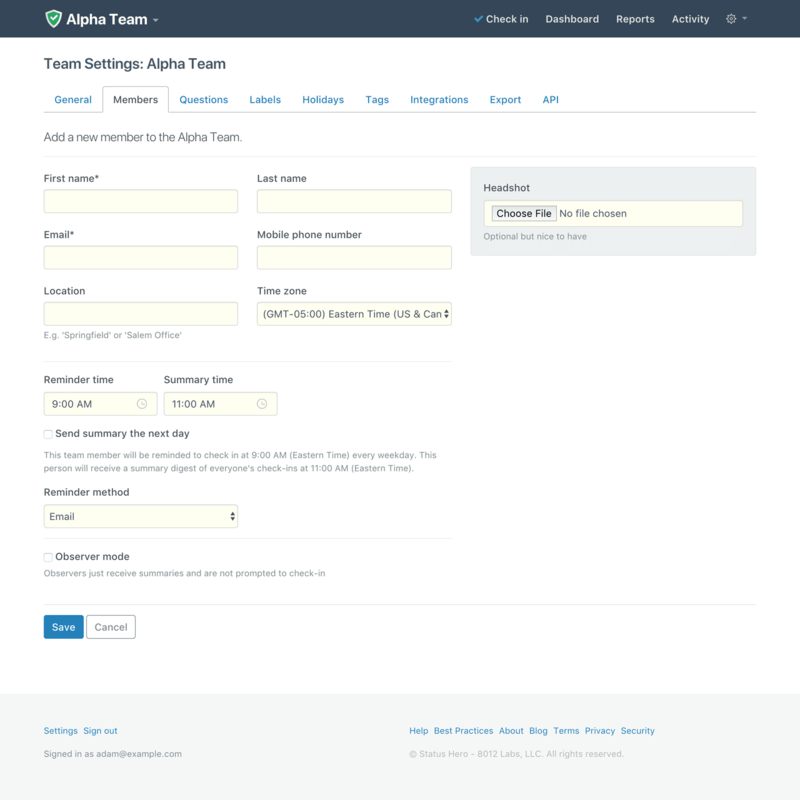 To set up a new team member as an Observer, go to Team Settings - Members and click through the "Add team member" button. At the bottom of the page, tick on the "Observer" box before saving. To set up existing team members as Observers, go to Team Settings - Members and click “Edit” on the user that you want to make an observer. Under the “Team participation” section, select “Observer” from the drop down.